A fire inspection at Coláiste Eoghain Uí Chomhraidhe in Carrigaholt was due to take place on Wednesday evening, to determine if the 105-year-old building can open for its August intake of students on Sunday. Fifty children have enrolled for a two-week course in the Irish language from Sunday until August 13. Following concerns over fire safety, the college was forced to close in early June and all 25 students had to return home. There were no July classes but significant maintenance work has taken place in the intervening weeks. Speaking on Wednesday afternoon, college principal Domhnall Ó Loingsigh said that Clare County Council was due to carry out a fire safety inspection, which would determine the immediate future of the historic college, which is located on the Shannon Estuary. The June and July closure was the first in the college’s history. “The council fire safety inspectors are the people who laid down the requirements and we’re following their recommendations to the letter. We have endeavoured to comply with all the requirements of the fire chief and we are very confident that we are going to be opening on Sunday,” Mr Ó Loingsigh said. “We wired into it since the day the inspector was here in June. We’ve been at it non-stop and I’ve only been home two days since. I’ve been here the whole time. We’ve had contractors in and anyone that was in the business, we had them here. “We were hoping to have the final inspection on Wednesday evening and that it would have been signed off then. All we want to do is to be open for the course until August 13. We know we’ll become non-compliant again the day we close but that’s a fight for next year,” he added. In the long term, the college board is hoping that Department of Education funding will be granted to finance the maintenance and repair work required. “We’re hoping that we might be able to side-step all the bureaucracy. There is so much time wasted now. Long term, we’d be hoping to get funding approved, tenders sought and a contractor appointed. We’ll probably have to get tenders from Italy, Lithuania and Eastern Siberia. What have they done to the country? 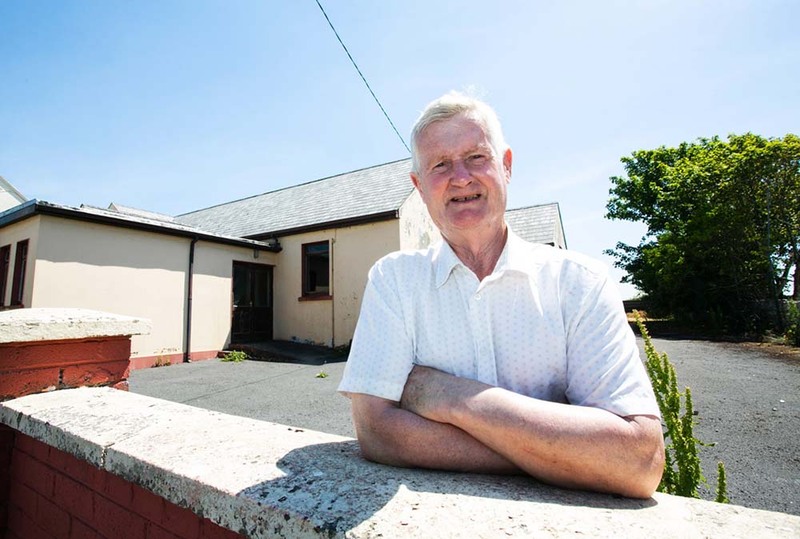 “But we’re hoping that funding will be made available and we can start on the refurbishment and it’ll be done for June 1 next year,” Mr Ó Loingsigh concluded. Following concerns over fire safety at the Irish college in Carrigaholt was forced to close in early June.